Yu Ace has been introduced in charcoal gray, electric blue and everyday gold options. Also, by the end of September 3GB RAM / 32GB storage variants will also be offered. Micromax brand Yu TeleVentures has launched its Yu Ace smart phone in India. It will be sold exclusively on Flipkart. For your information, the company has launched its new smart phone almost a year later. 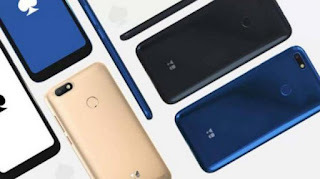 Earlier, in September 2017, the company launched Yu Yureka 2. The company has informed that Yu Ace will be supported by Android P.
The company has priced the Yu Ace at Rs 5,999 for 2GB RAM / 16GB storage in India. Customers will be able to buy it from Flipkart on September 6th at 12pm IST. The next flash will be held on September 13. The company has informed that after this the smart phone will be made available in the flash cell. Yu Ace smart phone with dual-sim and dual-VoLTE support runs on Android 8.1 orio based company's custom skin. It has a 5.45-inch HD + (720x1440 pixels) display with 18: 9 ratio. This smart phone has a Quad-Core MediaTek MT6739 processor with 2GB of RAM. Speaking of the section of photography, this smart phone has a 13-megapixel rear camera setup with Flash. On the front there is a 5 megapixel camera for selfies. Standard options are available for connectivity. Its battery is 4,000mAh. 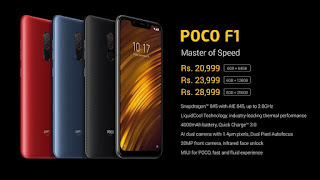 The first sale of the Poco F1 device was at Flipkart and Me.Com on August 29. The device was sold in just a minute. The second sale would be held on 5th of September. The device's 6 GB RAM and 64GB internal storage variant have been priced at Rs 20,999. While the 6 GB RAM + 128GB internal storage has been priced at Rs 23,999 and 8 GB RAM + 256 GB internal storage has been kept at Rs 28,999. 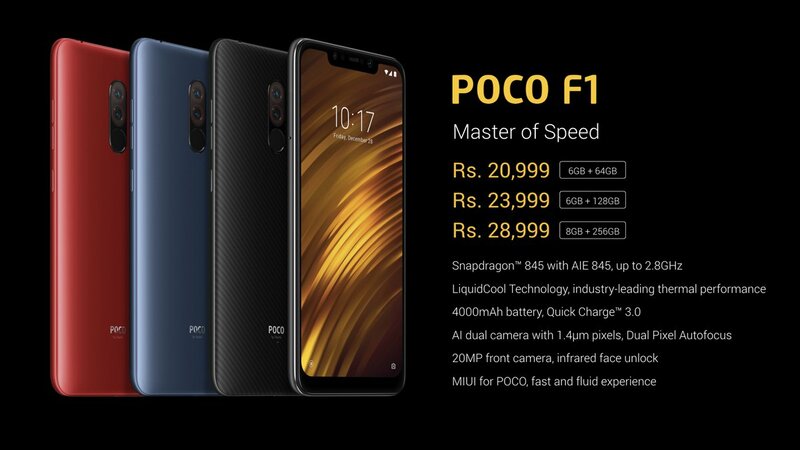 Poco has also introduced an Armed Edition of the F1 device and its price has been kept at Rs 29,999. The company has partnered with HDFC Bank to sell the phone. Under this, buying a phone from HDFC Bank card in the first cell will get a discount of Rs 1,000. In the first cell for the phone, Reliacne Jio is offering high-speed data of up to 8,000 cashback and 6 terabytes by the users. fingerprint sensor is given below the camera. has beenintroduced in Black, Blue and Red three color variants. The company has specially designed a new MUIE for Poké. The Pouco Launcher has been provided in the new MUIE. Vivo Company is going to launch two new smartphones in India next month. 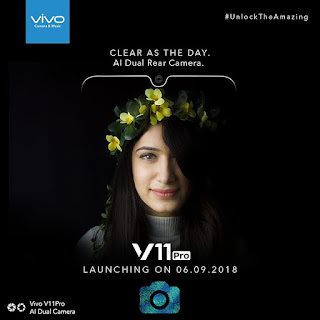 The V11 Pro device will be launched in India on September 6. At the same time, the company is preparing to launch Vivo X3 in September. Viva X23 has already been launched in China. The company has released three teaser one after the other on Twitter about its V11 Pro handset. 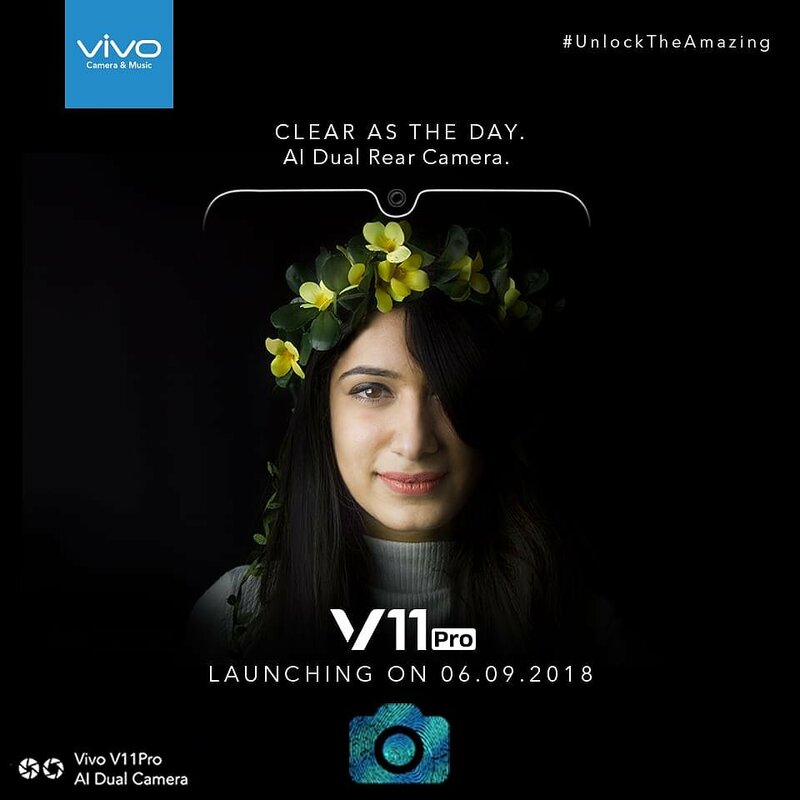 The teaser released shows that the Vivo V11 Pro will be equipped with features such as finger print sensor, dual camera setup. On social media the company is using the #UnlockTheAazing amazing hashtag to promote the phone. The company told in a teaser that the phone's dual rear camera will be equipped with AI. In addition, in a separate tweet, the company informed that the phone will have these display fingerprint sensors. That is, you will get a fingerprint scanner on the phone's screen. Through another tweet, the company has informed about the 'Halo flower display display' in the phone. Vivo V11 Pro will work on Android 8.1 Oreo. The phone will have a 6.41 inch FullHD + display. Its aspect ratio is 19.5: 9. The phone can be offered in 6 GB RAM and 128 GB internal memory variant. To give power to the phone, a 3400 mAh battery has been given which supports the fast charging. Talking about the camera, there is a dual rear camera setup in the back of the phone. According to the news, the primary sensor will have 12 megapixels and secondary sensor of 5 megapixels. For the selfie it has a 25 megapixel camera. The phone's rear camera will be equipped with Artificial Intelligence (AI). The dimensions of the phone will be 157.9x75x7.9 mm and weighing 156 grams.